This Pinot Gris is harvested when over-matured. This wine has got the famous Vinolok glass stopper, elegant and reusable. A wine made of fruit harvested in an over mature state, which lets it express sweet notes of candied fruits with the typical acidity of Riesling. The Pinot Gris Vendanges Tardives expresses candied fruits notes, because of the late harvest of the grape. This generous wine is harvested when the grapes are over matured. The Pierre Sperry’s wine estate is located in Blienschwiller, a small village at the foot of Winzenberg Grand Cru. 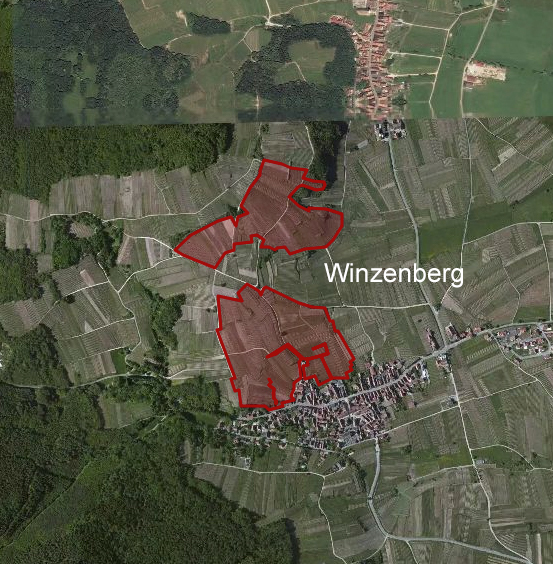 The geological specificity of Winzenberg gives to its wines a liveliness and a crystalline purity noticeable at every level of tasting. “Winzenberg” comes from “vinetum” in Latin, then translated in German in “Weingarten”, which stands for vine garden. As if it would be impossible to grow any other plants other than vine on this hillside overhanging Blienschwiller. The granitic terroirs produce great Gewurztraminers. However, beautiful Rieslings are also cultivated on those renowned slopes.